Tours of the Jack Jouett House Historic Site are available April through October during the hours listed below and are available by appointment throughout the year. Tours are guided by trained docents and last approximately 1 hour. The grounds are not included in the guided tour, but guests are welcome to enjoy our grounds at their leisure. Self-Guided Grounds Tours of our Cemetery, Colonial Herb Garden, Quilt Square and Native Tree Walk are available. Note: Regular tours of the historic buildings may be suspended during onsite and offsite special events. Please call ahead (859) 873-7902 if you have questions or to confirm that tours are available when you wish to visit. Special tours for hearing-impaired guests and children are available upon request. Admission and parking are free unless otherwise noted. For groups with 8 or more people special rates may apply. Please call ahead (859) 873-7902 for reservations and click here for more information. Wheelchair accessibility is limited due to the historic nature of the site. Please call (859) 873-7902 for more information on the site’s accessibility. School tours are free of charge to all Woodford County schools. For schools outside of Woodford County, the admission charge is $1.00 per student. Teachers and adult chaperones receive free admission. A variety of different of tours are available for groups. For rates and information click here. Take the Versailles exit (#68). Follow Route 33 toward Versailles. At the first light, turn left onto Route 2113 West (Falling Springs Boulevard). At the next light, turn left onto Route 1964 West (McCowan’s Ferry Road). Go about four miles and turn right onto Craig’s Creek Road, just beyond Sovereign Grace at Hillsboro Baptist Church. The Jack Jouett House is the third home on the left. The Jack Jouett House Historic Site is six miles southwest of Versailles on McCowan’s Ferry Road. Follow the signs from downtown to High Street, which becomes McCowan’s Ferry Road. Go six miles and turn right onto Craig’s Creek Road, just beyond Sovereign Grace at Hillsboro Baptist Church. The Jack Jouett House is the third home on the left. Discover Revolutionary War and early Kentucky history with your group at the home of the “Paul Revere of the South.” The Jack Jouett House Historic Site offers a variety of group tours from which to choose. Group tours (8 or more persons) are offered by reservation only and generally at times when the Jack Jouett House Historic Site is not otherwise open to the public. Call (859-873-7902) or e-mail ( info@jouetthouse.org) for more information or to make a reservation. Admission is free for Woodford County school groups, youth groups, and adult civic, religious, or family groups. A Woodford County resident must make the reservation in order to qualify for free admission as a Woodford County group. At least one chaperone per 8 children is required for groups under the age of 12. Admission is $1.00 per student or youth under the age of 18 for non-Woodford County school groups and civic or religious youth groups. Teachers and adult chaperones receive free admission. At least one chaperone per 8 children is required for groups under the age of 12. Admission is $3.00 per person for non-Woodford County adult groups. Children under the age of 6 visiting with an adult group are admitted free, but each child must be accompanied by a paying adult. Admission fees must be paid by cash, check, or money order. Credit and debit cards cannot be accepted. If you’re new to the Jack Jouett House and the Jouett family’s intriguing tale, this is a great introduction. Learn about Jack Jouett’s heroic Revolutionary War exploits and his subsequent life with his family in frontier Kentucky. The tour lasts approximately 1 hour. Lasting approximately 1 hour, this special tour is designed for children between the ages of 6 and 11. 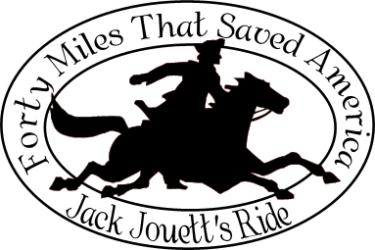 You’ll hear the exciting story of Jack Jouett’s heroic Revolutionary War ride. 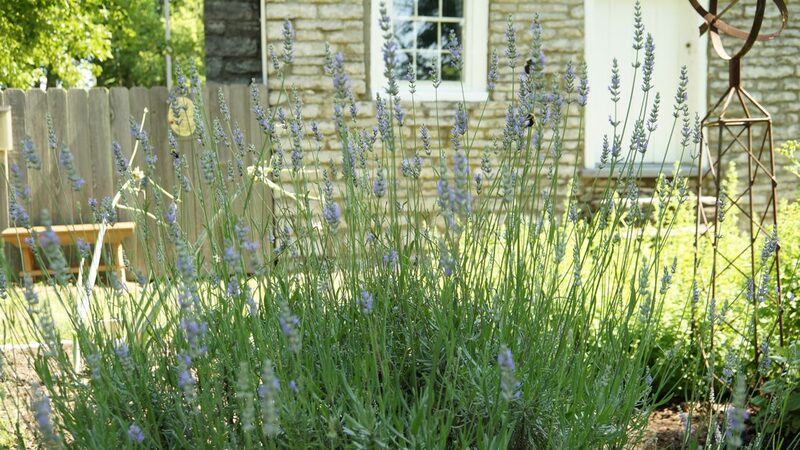 As you tour his home you’ll discover what life was like for children in the late 1700s and early 1800s in Kentucky. This tour provides a great introduction to the American Revolution, frontier Kentucky life, and early Kentucky art. Have you already taken our traditional historic house tour or, perhaps, are you interested in learning more about a particular topic? Either way, the Jack Jouett House Historic Site provides a great opportunity to delve a little deeper with our special “Slice of History” tours. Current offerings are described below. The story of the Jack Jouett House is as fascinating as that of its builder. Built circa 1797, its early Kentucky Federal-style architecture is a wonderful example of unadorned elegance and simplicity. Go behind-the-scenes and get an in-depth look at what makes the Jack Jouett House a rare and original treasure. Visitors will have the opportunity to view and learn about the structural elements of the house and their original construction. This tour also provides an examination of the house’s 1970s restoration project, garnered from documents and from oral history interviews of original participants. The tour lasts approximately 75 minutes and is recommended for ages 14 and older. It includes a PowerPoint presentation of images from the Jim Curtis Collection (courtesy of the Woodford County Historical Society) showing before, during, and after photos of the house’s restoration.